A sea nymph with a potty mouth and a penchant for exploding light bulbs. A human-sized giant on par with Eeyore for mood. And two lewd and lascivious fairies. 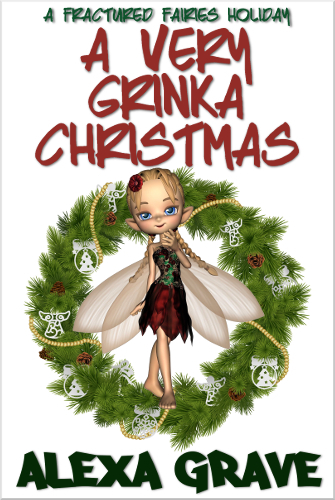 Well, Grinka will tell you how the giant and two fairies enjoy making her life unbearable. It's hard for a bunch of immortals living in the real world. Really. OK, maybe only for poor Grinka. 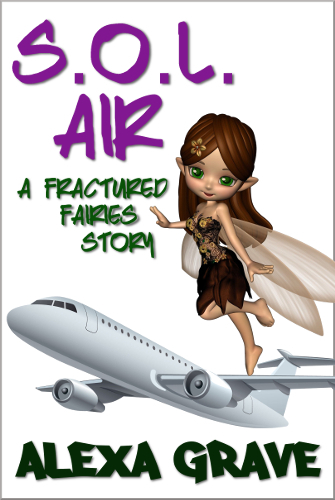 If you're curious what antics these miscreants get themselves into, delve into a Fractured Fairies story! Two short stories about a sea nymph with a bad attitude, a potty mouth, and the power of destruction. Nothing like having a suicidal not-so-giant giant as a best friend. Unless you also have a couple of drunken fairy pests tormenting him about his small stature. Grinka's the lucky sea nymph who has both. Between comforting her friend and stopping the lewd fairies from taunting him with a suicide powder, her temper gets the best of her. And when it does, things explode. "Immortal Woes" received an Honorable Mention in Quarter 3 of the 2015 Writers of the Future Contest. Grinka has a maddening itch on the back of her neck. And the only place she can find any answers about her skin condition is at the library in the Immortal World. 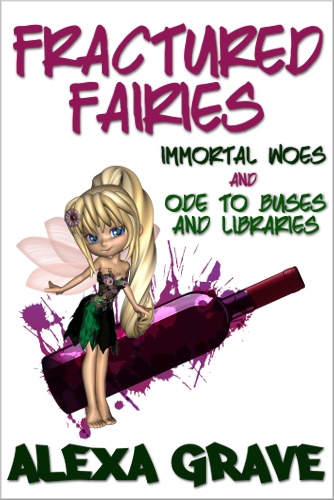 Of course getting to the library isn't easy, especially when riding the Immortal Express bus line. Between a lackadaisical centaur and the drunken fairy twins, it's a wonder Grinka hasn't exploded them all. Oh wait, she has. What's a sea nymph got to do to get a vacation around here? That whole "life is a journey, not a destination" nonsense doesn't hold water with Grinka. Especially when she books a flight to Vegas to get away from those two fairy nitwits. She doesn't quite consider the aquatic ramifications of a sea nymph in the air. Nor does she plan on a chance encounter with her goblin ex-boyfriend, Hrelm. Seriously, what's it going to take for Grinka to get to Vegas and gamble away her meager savings? Looking for a bite-sized gulp of Grinka? The flash story "Monster in the Room" gives a taste of her in all her sea nymph glory. What does she do when she comes home to find a monster taking up her entire living room? 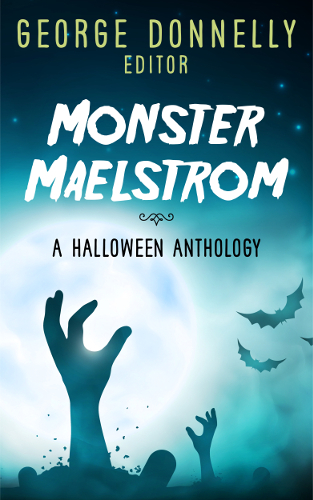 Pick up a copy of the anthology Monster Maelstrom to find out, the only place you can find this story along with several other monstorous shorts by an array of authors.